Maintaining a positive mood and attitude is an important but often overlooked part of reaching peak cognitive functionality. Anxiety, apathy, and depression are just a few of the many conditions which can negatively impact your productivity. When you suffer from any of these, your motivation goes down, as does your ability concentrate, think and learn. The right nootropic supplement can very effectively manage your mood and eliminate many of these issues. 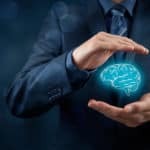 By optimizing the production, release, and use of several critical brain chemicals, nootropics can increase your sense of well-being and give your mood a proper boost. Brain fog, anxiety, indifference and feelings of negativity can be a thing of the past. Nootropics cannot, of course, by themselves fix every possible mood disorder. Some of the more severe cases will most certainly require therapy or other similar more involved types of treatment. But, if like me, you only experience reasonably mild and temporary mood problems, the below list of the best nootropics for mood enhancement may be just the thing you need. Adrafinil is a synthetic supplement that promotes wakefulness and alertness, while also packing several impressive nootropic properties. It is very effective for long mentally demanding tasks. Adrafinil is comparable to modafinil, a related and very popular wakefulness promoting nootropic. 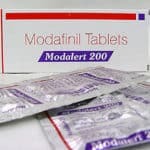 A wakefulness-promoting stimulant, modafinil is also very effective at improving mental performance. This combination makes it an excellent supplement for long and mentally demanding tasks, and a favorite of students and professionals everywhere. Its effectiveness is well-documented and backed by decades of research. Whether you’re just starting off with nootropics, or are a seasoned veteran, you just can’t go wrong with Noopept. From cognitive enhancement to neuroprotective properties, it offers all the effects you expect from a top shelf nootropic, and at a price that’s hard to beat. Its quick rise in popularity and inclusion in many nootropic stacks are certainly well justified. Phenylalanine is an essential amino acid which can affect any number of systems in the brain. From better memory and focus to an improved mood, reduction in stress, anxiety, and depression. This supplement can do it all. If needed, it even works as an effective pain reliever. Phenylalanine is also easy to stack and very well tolerated. Classified as a phospholipid compound, phosphatidylserine is vital to the functioning of all cells in your body, including those in the brain. Its presence has significant positive effects on your mood and memory, as well as long-term brain health. Phosphatidylserine is very safe and compatible with just about every other nootropic supplement.